Fender Twin reverb on Rent ! Guitar Amp on rent ! Fender Guitar Amp on rent ! Guitar Amp on Rent In Delhi Gurgaon Faridabad Greater Noida ! 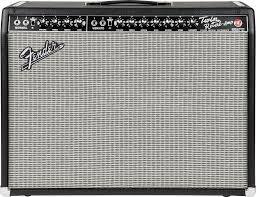 The Fender Twin Reverb is an Amplifier with meticulous reissue of a true American Classic. This is of 85-Watt having 2 Channel vintage Reissue series. This is all Tube guitar combine amplifier.